Sony Mobile Philippines is Looking for an Xperia Image Model, Could It Be You? Join the Contest Now! Sony Mobile has just launched a campaign to find the New Face of Xperia and it's called 'The Search for the Next Global Exemplar'! Everyone is invited to join! The campaign aims to look for the Sony Super Fan who holds the qualities of the Xperia brand in the highest regard. The Global Exemplar should be passionate about Xperia and the qualities of the brand such as two-day battery, high-quality camera, and durable performance, among others. At the end of the search, Sony will choose one winner from each participating country to be the face of Sony Mobile and the regional winners will get a photoshoot package for an amazing advertising spread promoting their beloved Sony brand. The Philippine winner will get an additional Sony Home Entertainment package of a 50-inch BRAVIA TV and Soundbar worth Php 76,000.00. "At Sony, we create unique brand experiences that consumers will enjoy and so we strive to develop the most compelling line of mobile devices," shares Ms. Jhoana Benedicto, Marketing Officer for Xperia. "We are excited to bring this campaign to Filipinos and share the same passion for technology with everyone around the world. With this campaign, we’ll be able to showcase the Filipino talent and creativity." The call for Xperia’s entries started on May 26 and will end on June 14. The new face of Xperia will be featured on promotional materials (Online and PR) and Sony’s official social media accounts for the world to see. 1. For the preliminary stage, entries will be judged based on the literary and creative merit of their answer. Judges will determine the top number of entries from each participating country based on the said criteria. 2. For the second round, the selected entries in the first stage will be judged based on their photos and social media stats combined. Furthermore, each of these entries will be judged based on how influential they are on social media, and how their entries align with the Sony brand. In the event of an invalid or ineligible entry, the judges will selectthe next qualified winner. The Search for the Next Global Exemplar is just the first of a bigger story that Sony has to tell this year, so fans and consumers are encouraged to stay tuned for more surprises and updates. 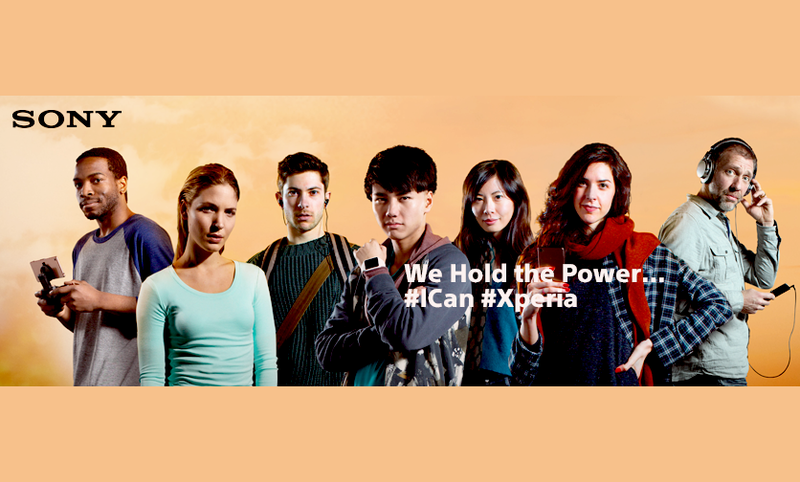 Be part of Xperia history and join today!